New: quick search box in the Folder Panel! Another useful addition to your software today, as we added a Quick Search box in your folder panel. Especially useful for those long folder lists, e.g. when using Artists as the folder field. Just type a few letters of the artist’s name and the folder list will instantly “filter down” to the matching artists, while you type! 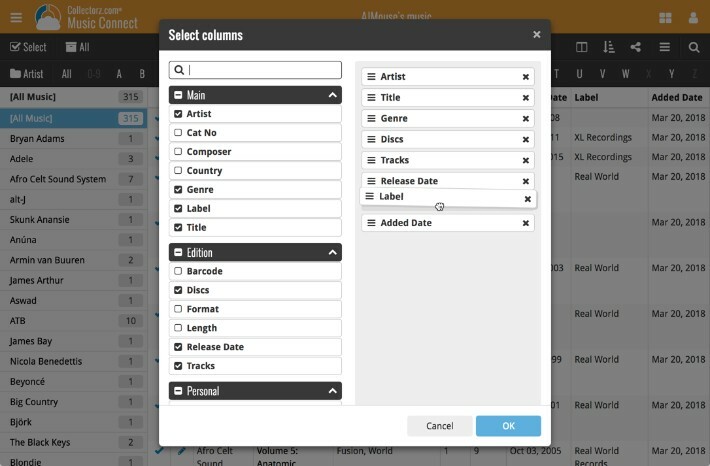 These buttons let you go through your album list to make changes, while staying in the Edit Album screen. Just use the Next or Previous button on the bottom left. 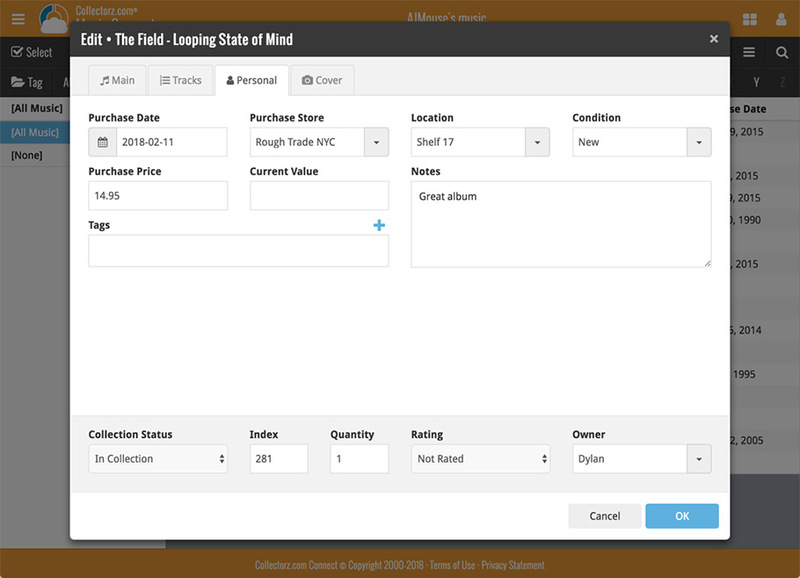 While doing so, the screen will keep you on the same tab and same field, making it super-easy to make changes to same field(s) for multiple albums. A small UI tweak today, made necessary because of the growing number of field options for the folder panel: the folder field menu is now grouped into 3 categories. This should make it easier to find the field you are looking for. Customize your software with four Skin choices! On top of that, we have given you 3 template style choices for the Album Details area: Dark, Light and Blue. Either to match your Skin choice, or to mix to up, it’s up to you. Both the Skin and Template selectors can be found in the Settings screen, under Customization. A new grouping option is now available in your Connect! 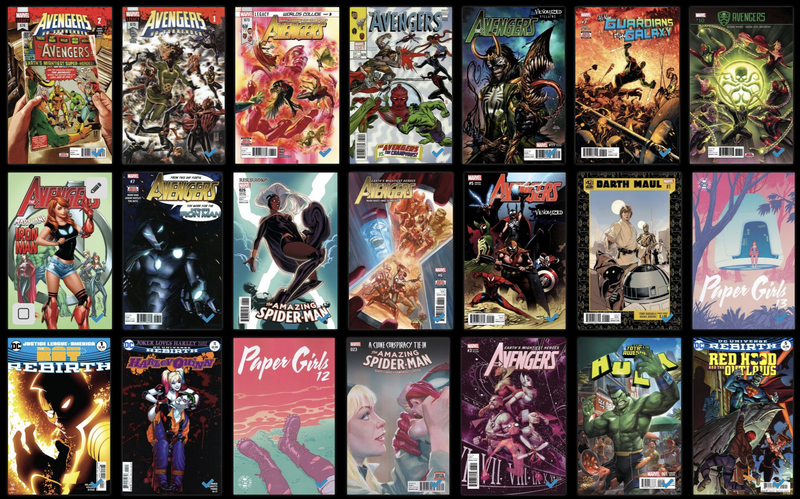 Click the folder icon top left and select Release / Publication Year to see all your items neatly grouped in a year folder. Click on a year to see all items that were released/published in that year! This new “Wrap column content” setting can be found in the Settings screen. It lets you choose if text in the List View columns should wrap to multiple lines or not. The default is YES / Checked. Uncheck this setting to keep your List View row as single rows, resulting in a cleaner list and more rows in view. Also found in the Settings screen, this new selector lets you choose how dates are displayed, anywhere in the program where date are shown. Now available in the Column Selection screen for the List View: The Core ID fields. E.g. 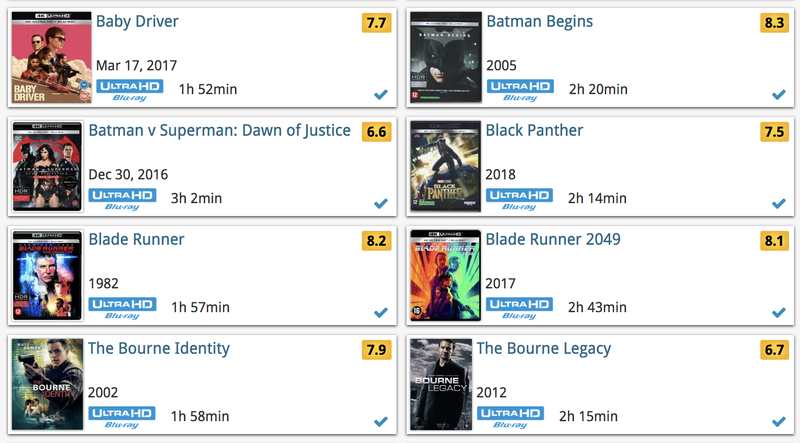 for movies, add the Core Movie ID and Core Media ID fields to your lists, to quickly find movies that are not linked to our Core entry yet. 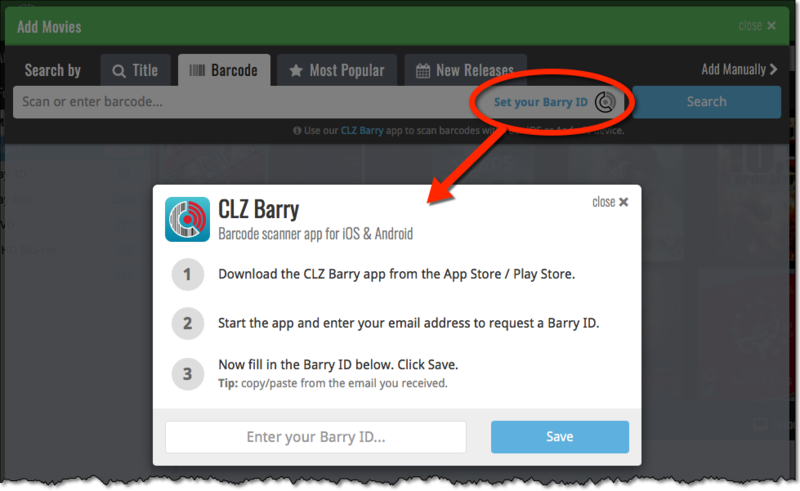 Previously, setting up for the usage of the CLZ Barry as a barcode scanner required going to your Connect Profile page and back. Not anymore. This week, we have implemented several changes to the cover images that are shown in Cover View and Card View, making them much sharper/crisper, less blurry. Also, on computers with a 4k / Ultra HD screen, both the Cover View and the Card will automatically switch to even higher quality images, with twice the resolution! The difference is huge, check out the screen shots below. But the best way to experience the sharper images is to log in to your own account and look at your own collection! While scrolling, the images now load faster. Scrolling the view while images are loading is now smoother, less “choppy”. The Images view now has black background for a more classy look. In both Images and Card View, while scrolling, it does not first load a placeholder image anymore, it just show the background color until the actual image is loaded, also resulting in a less choppy scrolling experience. 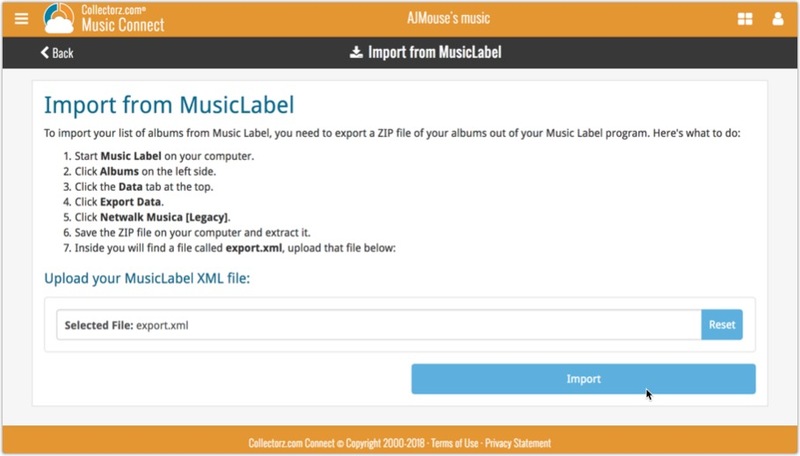 It is important to have your album entries linked to the corresponding entries in our Core online music database, because that is what gives you all automatic album details, like song lists, label, cover art, etc..
All album entries you add through the Add Albums screen, by searching our Core, will of course automatically be linked to Core. However, if you imported a list of albums, e.g. from a CSV file or from a competitor product, some/most of your entries may arrive “unlinked”, especially if you did not import barcodes. Previously, linking those unlinked entries to Core was a one-by-one job, slow and cumbersome. But we fixed that once and for all, with the new smart Link Albums tool! 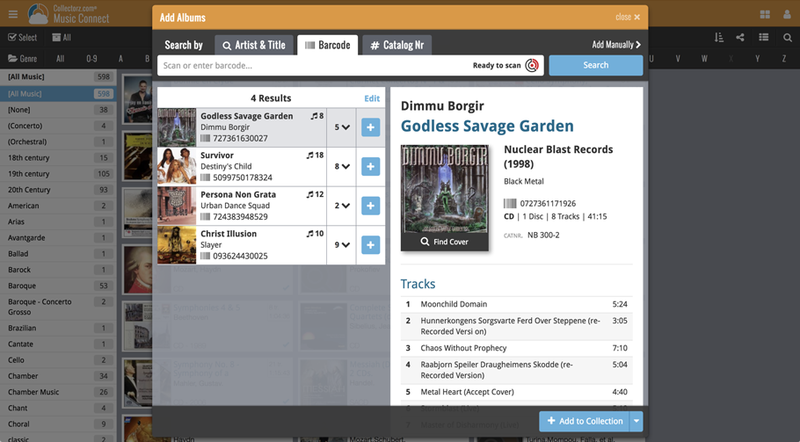 This new Link Albums tool automatically finds best matches in our Core online movie database, based on artist, album title and amount of tracks (if you have them) in your list. 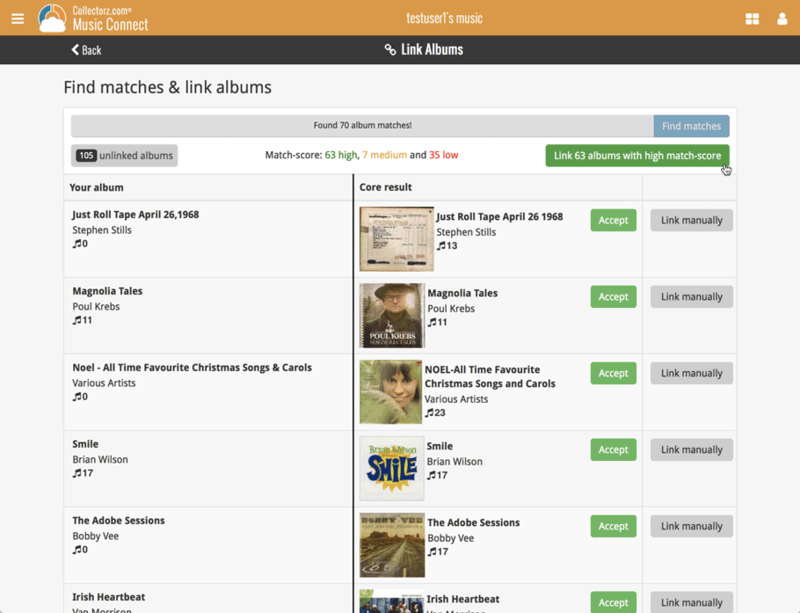 Then, it lets you auto-link all “high match score” albums, saving you loads and loads of time and clicks! Up till now, when you clicked an album entry to see its’ full details, you were taken to the album details page, that is, a new page in your browser. One had to click “Back” to get back to the album list again. Often resulting in an annoying back and forth clicking, each time causing you to lose your position in the list. No more back and forth clicking. Just click an album entry to see its’ details, click another one to see that album’s details. Nice and easy, never lose your spot again. 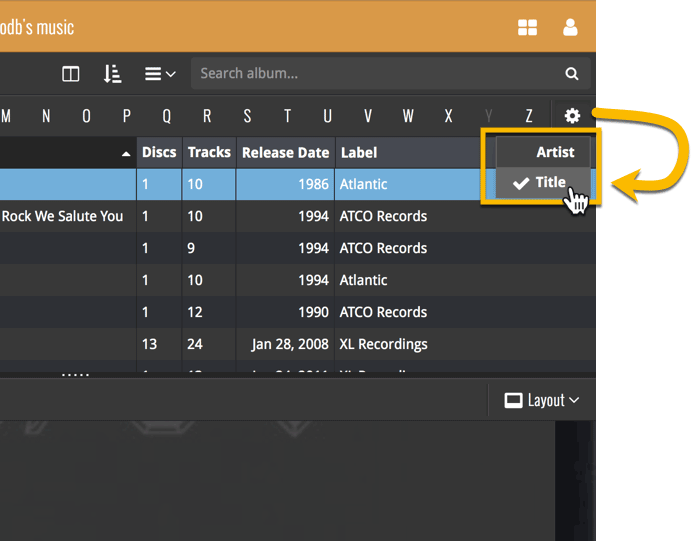 The album details panel comes with its’ own “action bar”, with the main actions you may want to take on the selected album (Edit, Share, Delete, Duplicate, Loan and Link with Core). 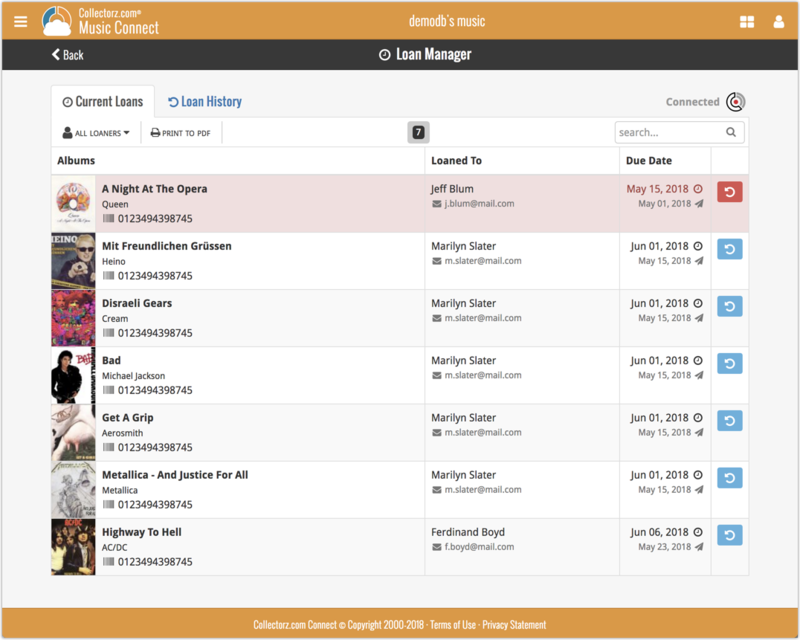 By popular demand, we have added 8 more fields to Music Connect, and we’ve moved some fields around. Most new fields can be found on the new “Edition” tab in the edit album popup! 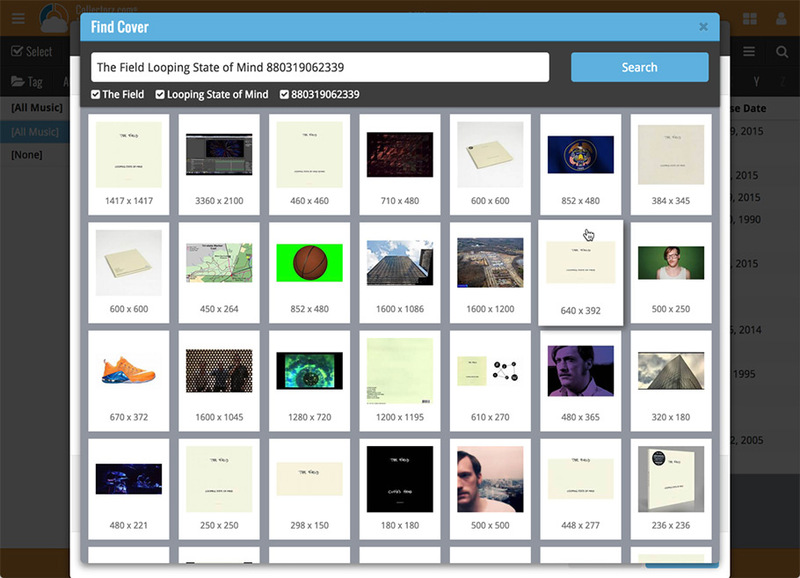 Of course, most fields can also folder grouped on, added as column, sorted on, etc. 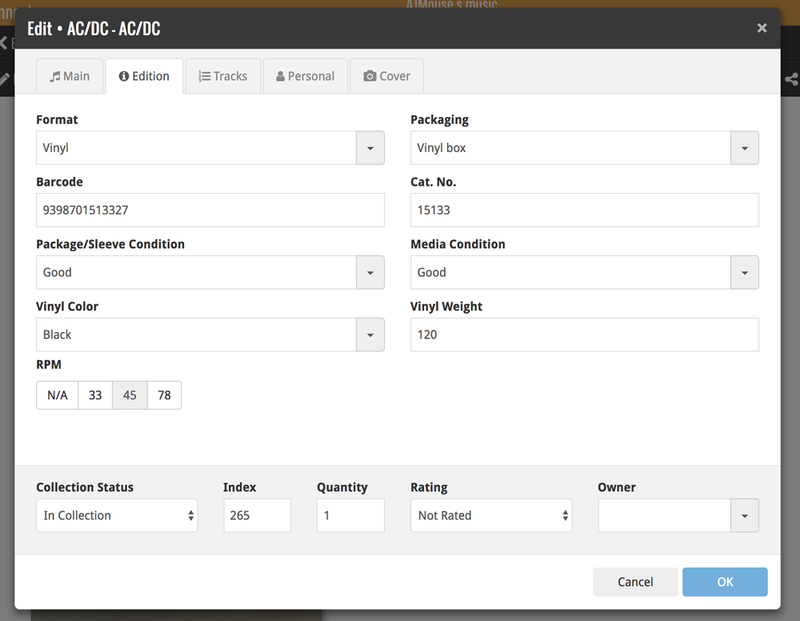 Note: We renamed the old “Condition” field to “Package/Sleeve Condition” so you now have a “Package/Sleeve Condition” field and a “Media Condition” field. 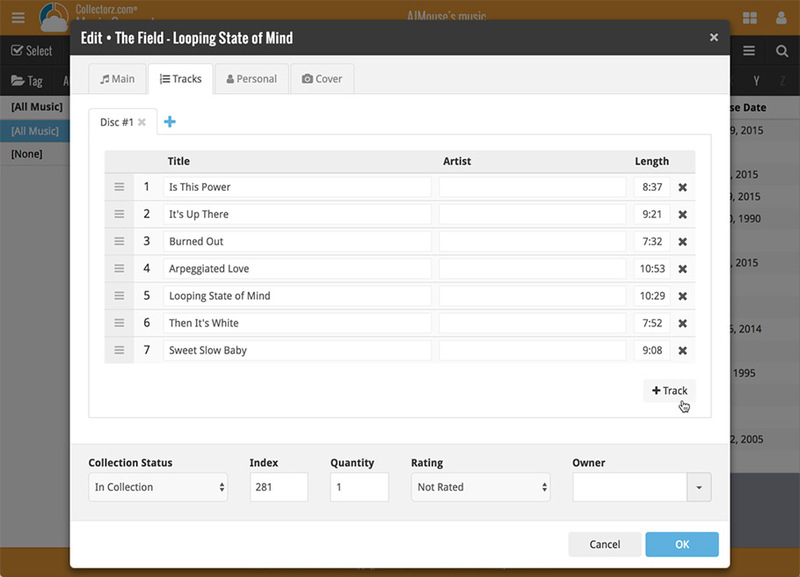 We will be adding these fields to the desktop and mobile app sync within a couple of weeks too. Hovering your mouse over the various buttons will now show tooltips to explain what the buttons do! Hover your mouse over the buttons to see what they do. 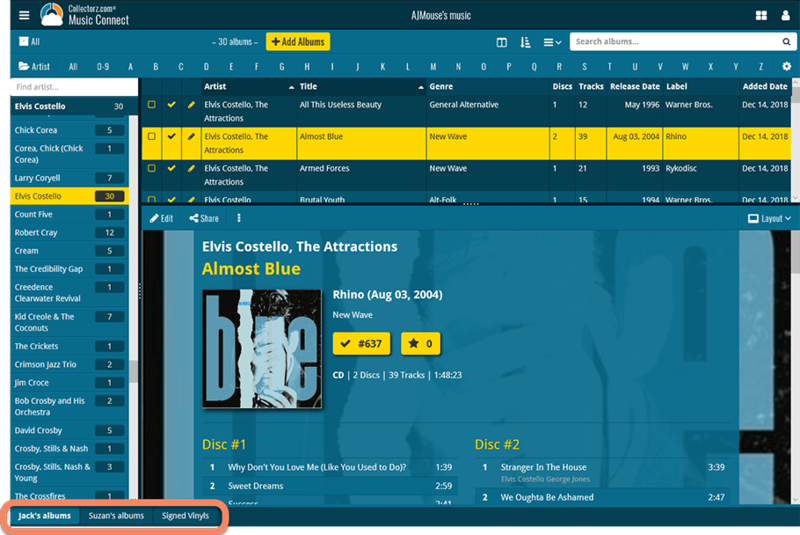 A cool user interface update for your Music Connect software today, in which we makes it easier to select albums and easier to perform batch actions on the selected albums. To select albums, just click the checkboxes on the left of each album entry in the list. Checkboxes are also available in Card View and Images View, just hover your mouse over an item. No more need to go into “Select Mode” first. 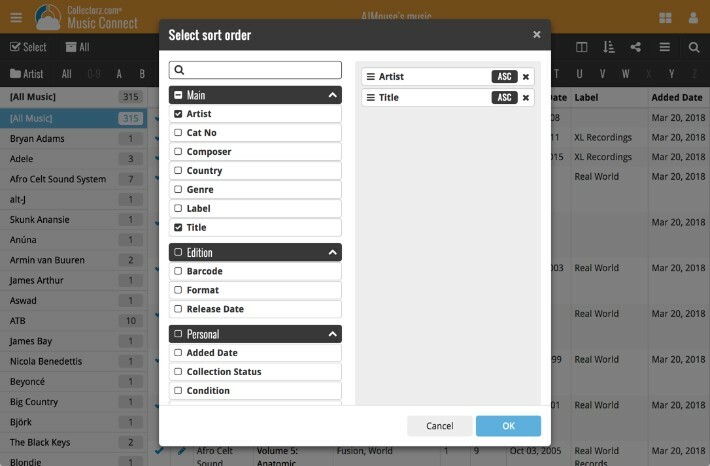 The Select Mode is automatically activated as soon as you checkbox the first album, clearly indicated by the blue Batch Action Bar that replace the regular toolbar. 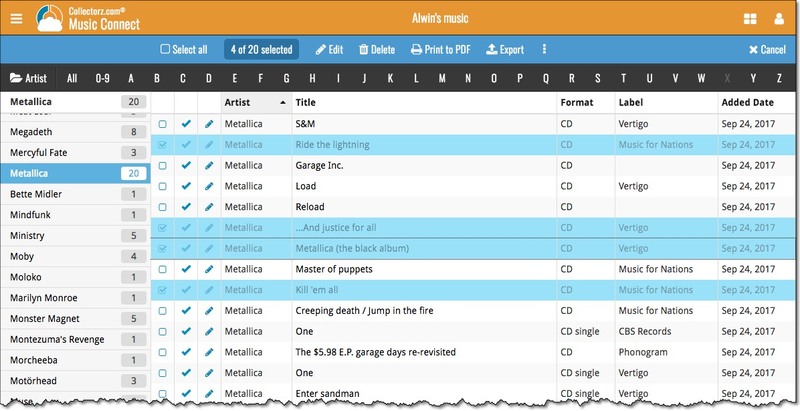 New: Use Music Connect to keep track of loaned albums! 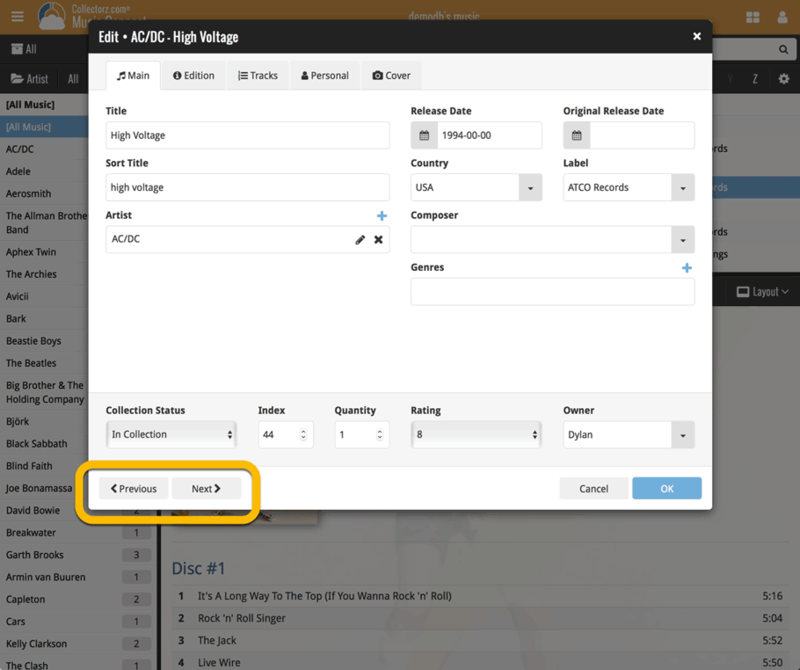 You can now loan albums in Music Connect: just find and select an album (or select multiple with the Select tool), and click the “Loan” button at the top! Click the menu top left, and then Loan Manager to access the new Loan Manager where you can see all your loaned out items, and directly return them. Alternatively you can also use CLZ Barry to scan a barcode of an album, find it in your outstanding loans, and return it. You can print out all your current loans to a PDF file by clicking the Print to PDF button in the Loan Manager screen. Alternatively, you can select a loaner from the dropdown menu there, and only print out his/her current loans to a PDF file! Loan albums by selecting a couple in your list, or by viewing the details of an album, and then click “Loan” at the top. Return albums straight from the loan manager or by scanning their barcodes with CLZ Barry. 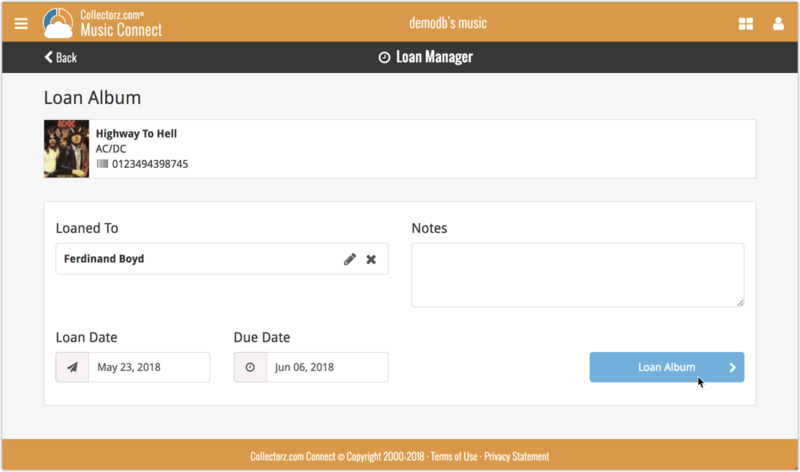 Check outstanding loans and loan history in the Loan Manager. Edit outstanding or returned loans by clicking on them. 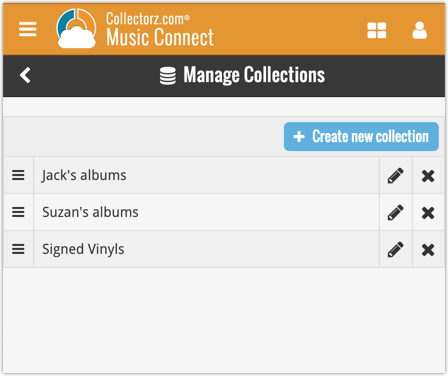 We will be adding the syncing of loan information to Music Collector for Windows and macOS, and CLZ Music for iOS and Android. 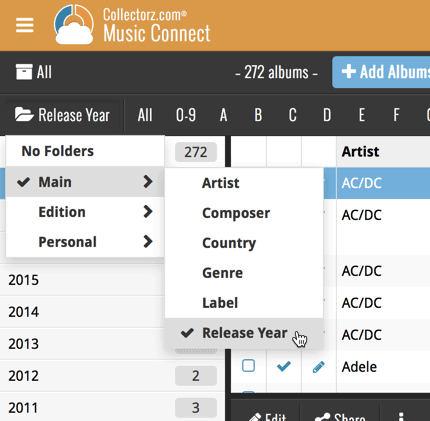 If you’re a new user or thinking of moving your collection from the program “CATraxx” to Music Connect, good news: we’ve just added a new “CATraxx” import tool in Music Connect! You can find the “CATraxx” import tool under the menu top left, then choose “Import Data”. 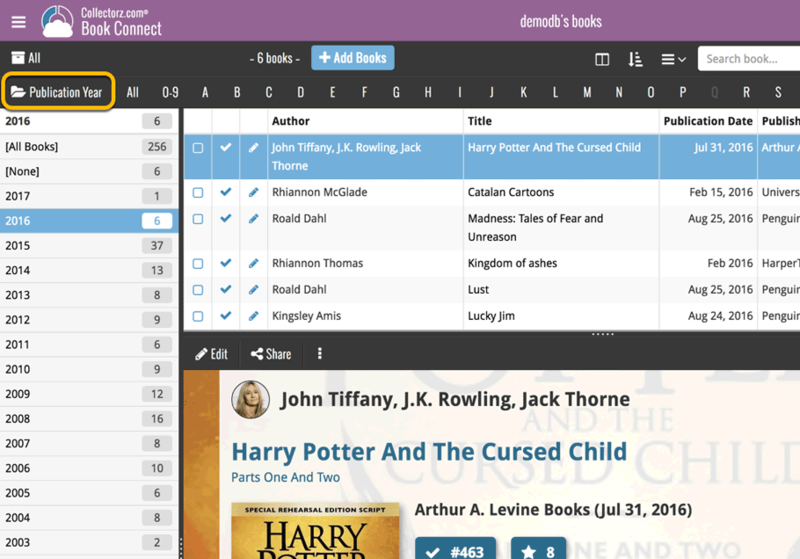 If you’re a new user or thinking of moving your collection from the program “Delicious Library” to Connect, good news: we’ve just added a new “Delicious Library” import tool in Connect! You can find the “Delicious Library” import tool under the menu top left, then choose “Import Data”. The Add Albums screen is now a pop-up screen that lays over your album list. Looks cooler, feels more “snappy” and while adding albums, you can actually see the new additions appear in your music list in the background! 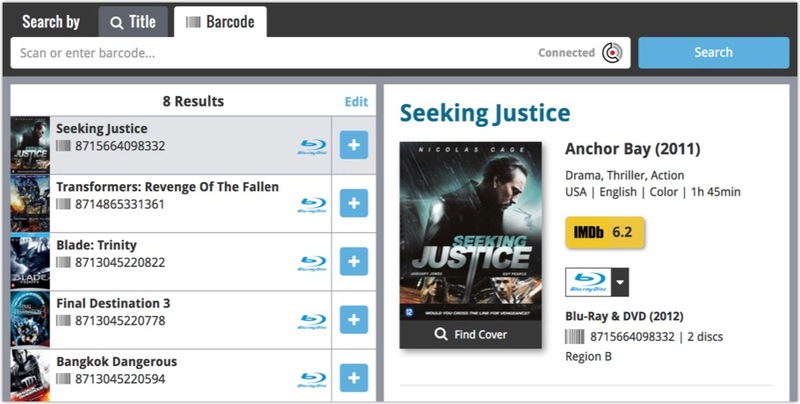 Barcodes scanned on the add page are now remembered! This means you can scan your barcodes into the add queue, leave the page, return later and still add the barcodes you scanned. If you wish to remove barcodes from your queue, use the Edit button top right of the list of barcodes! 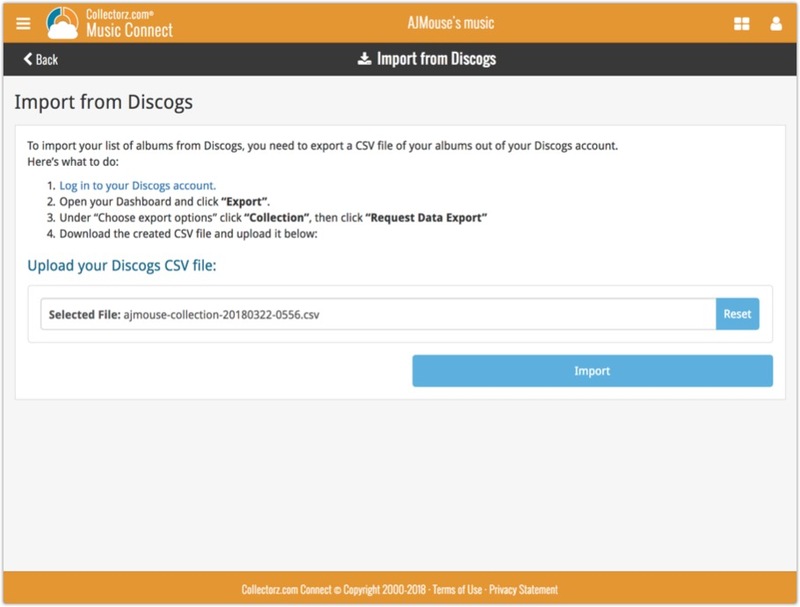 If you’re a new user or thinking of moving your collection from Discogs to Music Connect, good news: we’ve just added a new import from Discogs screen for Music Connect! 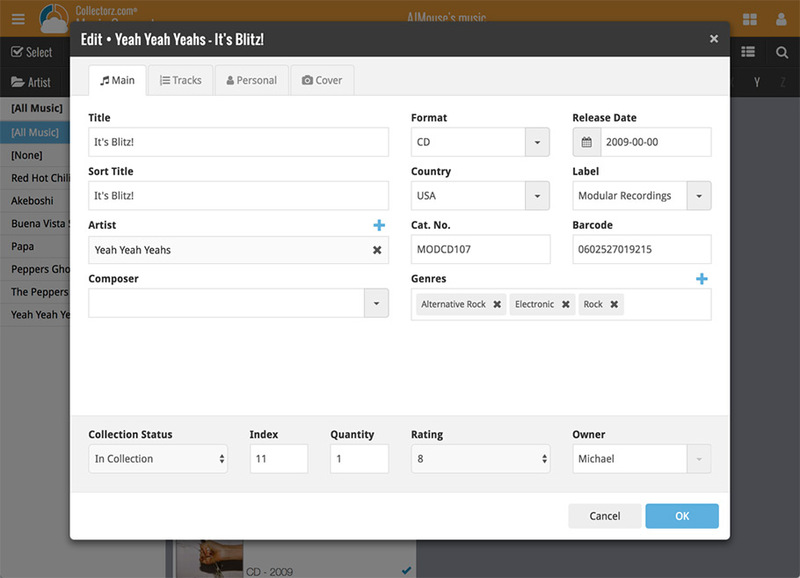 You can find the Discogs import under the menu top left, then choose “Import Data”. 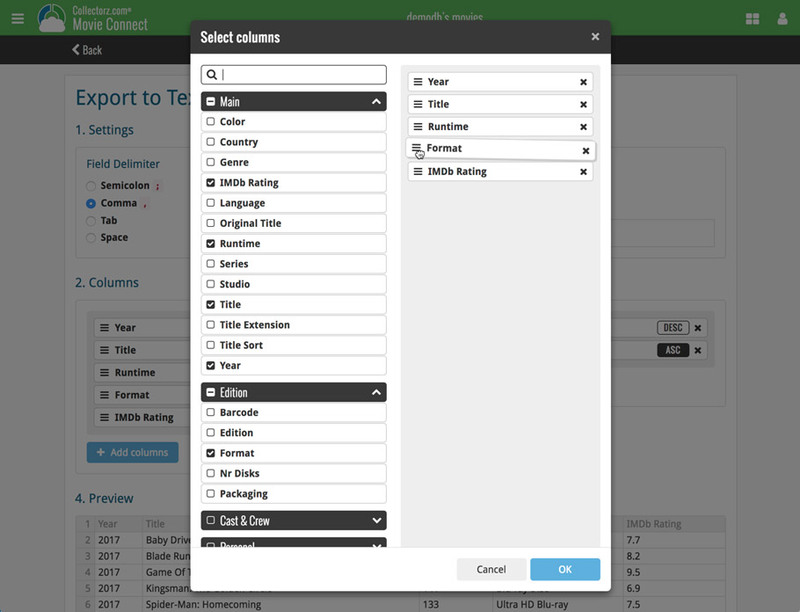 Last week we updated the field selection popup for Connect and CLZ Cloud, and this week we bring that same field selection popup to your “Export to Text” and “Print to PDF” pages. 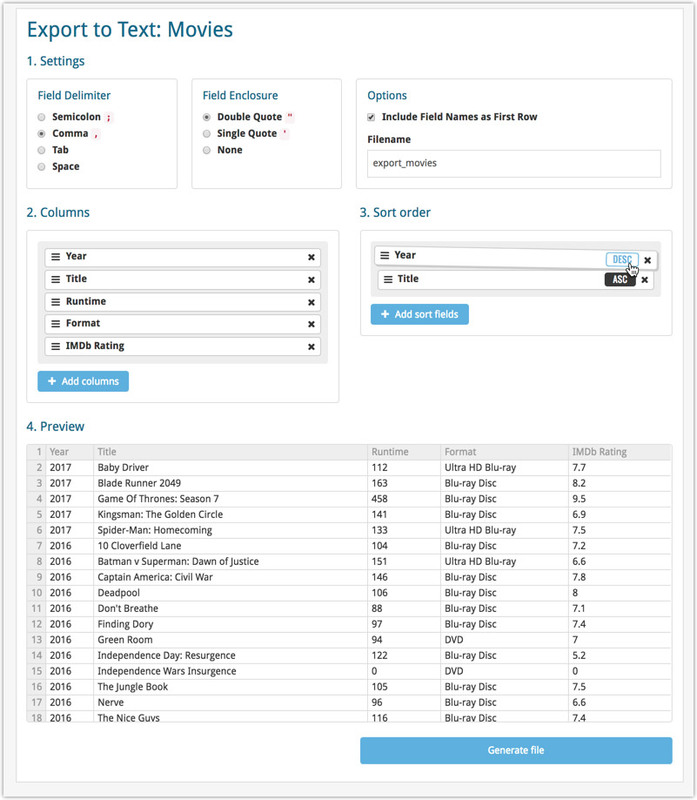 The update also includes an update Preview box for Export to Text, and an updated way for dragging/dropping fields for your columns or sort order. Open up your Export to Text or Print to PDF screen via the menu top left in Connect. 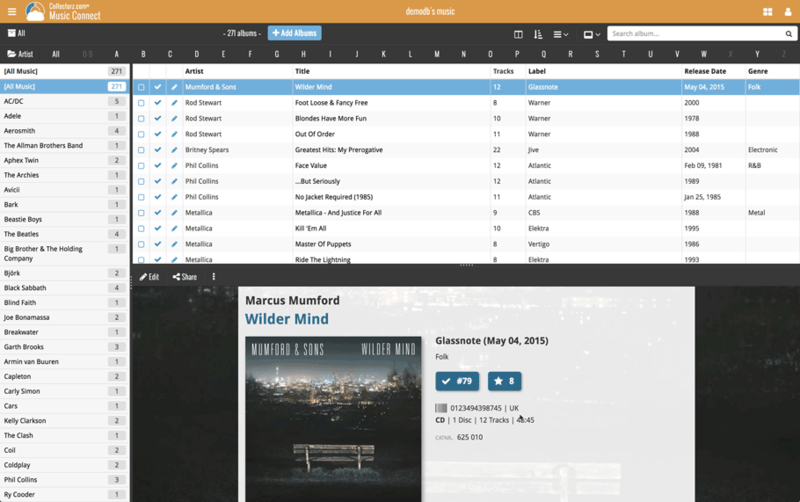 The ability to select your own Columns for the List View is an important customization feature of Music Connect. 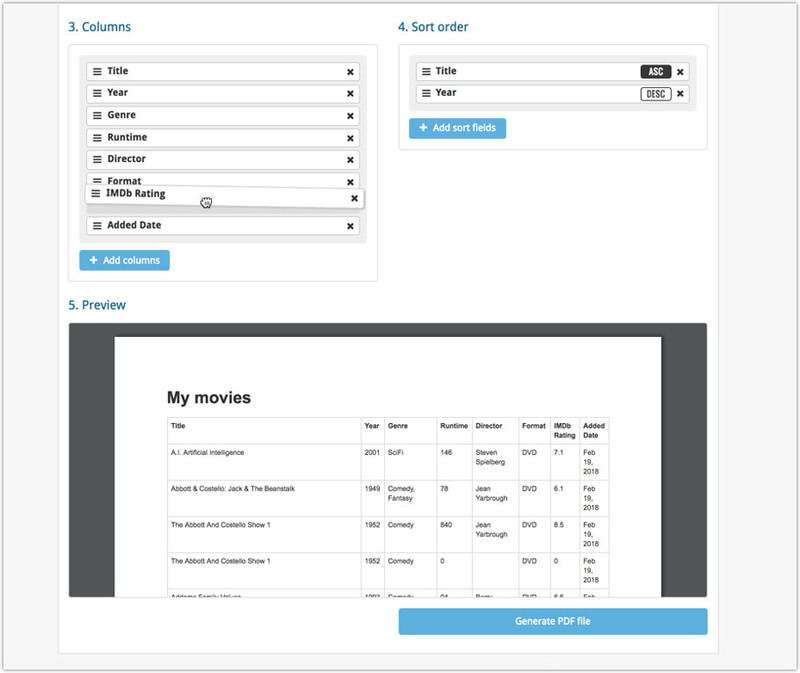 The same holds for selecting the Sort Order fields. However, the “field selection” screens for doing these customizations were a bit outdated and finding a field could be tricky. So we decided to re-imagine the field selection screens to make them easier to understand, easier to use and better to use on mobile devices too. Available fields are now grouped, like the tabs in the Edit screen. 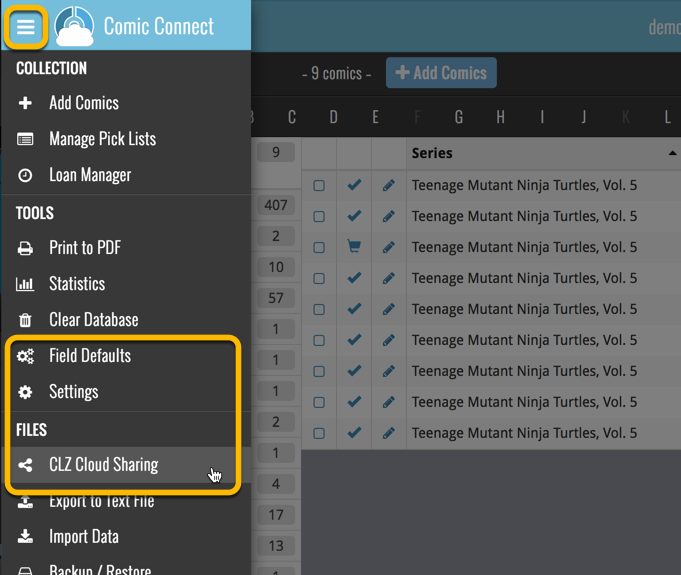 For sorting: use the ASC/DESC button to change the sort direction of that particular field. Works great on both your desktop and mobile browsers! 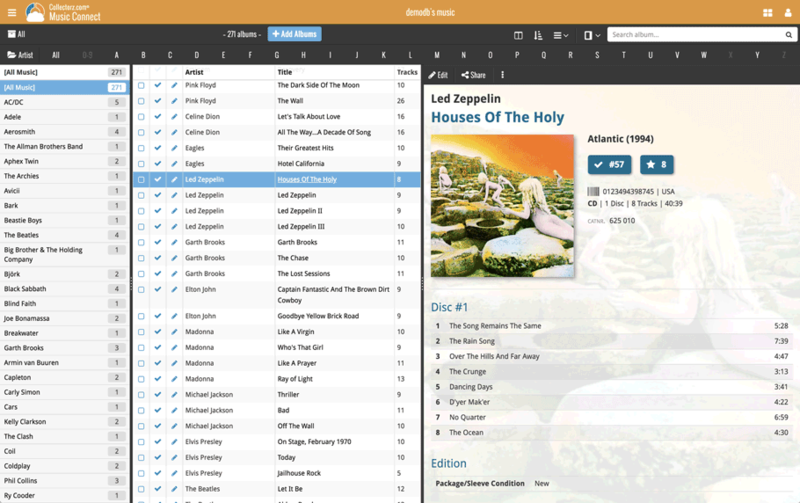 Live today in your Music Connect software: a completely re-designed Edit Album screen with an improved look, layout and usability! We’ve moved some fields around and to have them grouped and placed more logically. You’ll notice that we’ve also updated the look of certain buttons so it’s all easier on the eye, and there’s only one big blue important “OK” button to save your changes. The pick list fields have been updated so they’ll only show options from your own collection instead of all available options in our online database. This makes it a lot faster to quickly pick something from a pick list that you used before! You can just start typing to filter to the pick list entry you want to use, or open up the dropdown to scroll and pick. 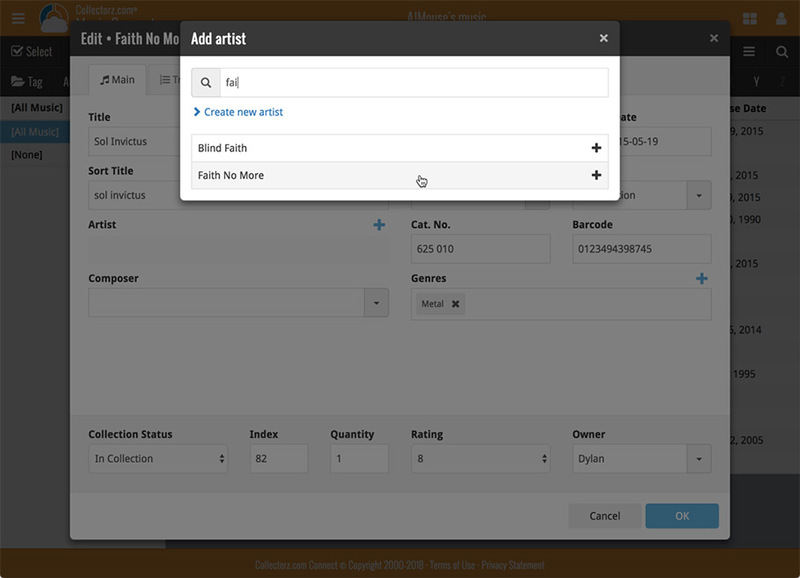 Multi value pick list fields such as the Artist field, have a blue plus button to pick an artist from your artist list. Click it, and either start typing or just pick an artist from the list. We’ve updated the following fields from plain text fields to “pick list” fields. This means that those fields now have a dropdown which you can click to quickly pick an existing pick list entry for that field. These field now all have a dropdown to pick an entry. You can also type into them to search or create a new entry for that field. At the bottom of the edit screen we added a “sticky” panel that you can see on all edit tabs. This panel contains some of your most important personal fields so you can always edit them quickly.